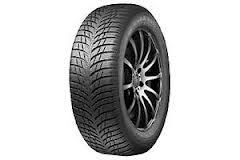 For high performance winter tyres, look no further than Marshal’s MW15’s. Dealing with tricky and difficult conditions is exactly what these tyres should do, as their operating temperature is lower than summer tyres and this means, whether the conditions are wet, dry, snowy or icy, the MW15’s will work better and give you more performance and stability in these conditions. This can make a huge difference to your confidence and safety on the road, and that’s why winter tyres are becoming more popular almost everywhere you go.